Head of Department of Physi­cal Education, Music & Art and Craft Ashish Prasad was pleased with the turnout as he hopes more athletes qualify for the zonal meet. 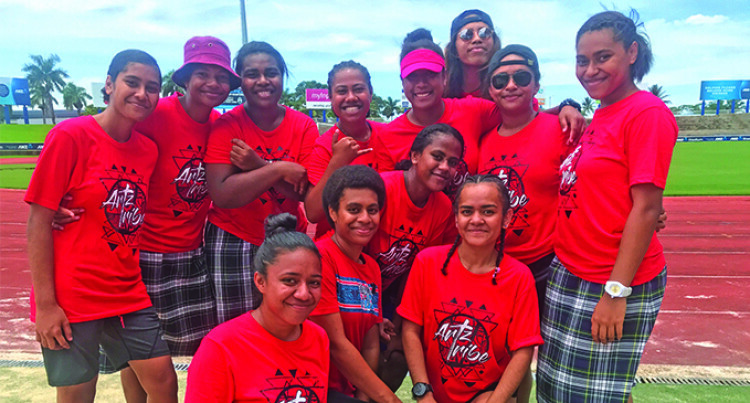 Nine hundred students participated during the Jai Narayan College in­ter-house athletics competition at the ANZ Stadium in Suva yesterday. “It was pleasing to see a lot of students participating at the inter-house and we had around 900 students participating,” Prasad said. “And we had all the major events contested apart from the long distance events. “Our objective is to encourage potential athletes to prove them­selves in qualifying for the Zone and Coca-Cola Games. “However, as for the school management and staff hosting this event was to allowing stu­dents to have a time out of the learning environment and en­joy. Meanwhile, four houses Red, Yellow, Blue and Green com­peted where Yellow house were declared champions of 2019.